Hello Crafty Confessors and fellow Whovians! 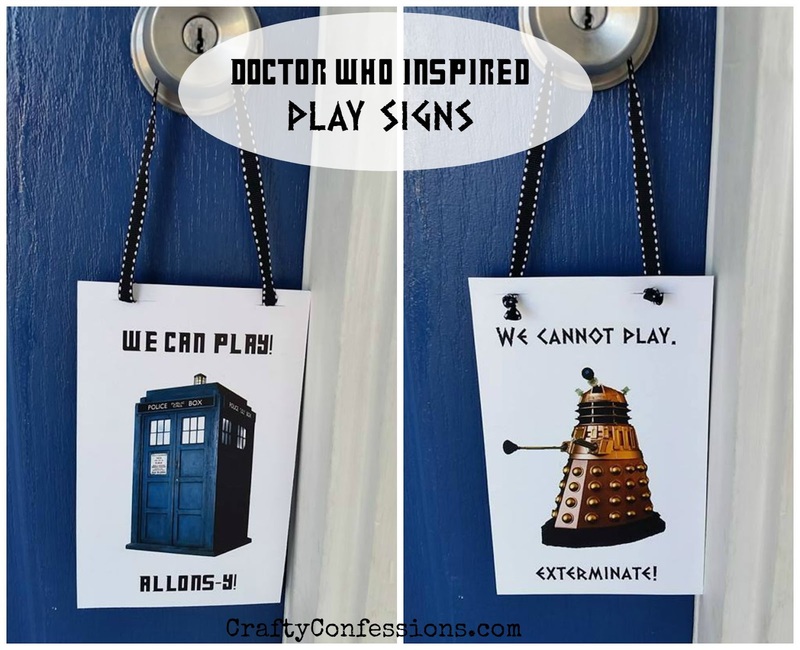 Today I'm posting a free Doctor Who inspired printable to let the neighborhood kids know when your little Whovians can and cannot play. This is especially useful on days when you're all still in your pajamas binge watching Netflix. Don't give me look. You know you've been there. 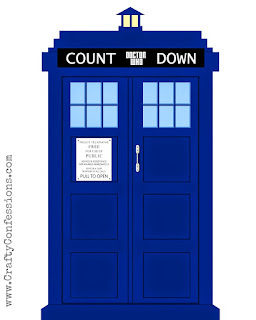 Download the door sign or click and save the image. Print onto sturdy cardstock, fold along the dotted line, and glue together. I used my paper trimmer to trim the sides and bottom. You can place the sign in your window, or add some ribbon and hang from your doorknob. 50 days until the series 9 premier! "Hang" in there, and check out my Countdown to Doctor Who printable. 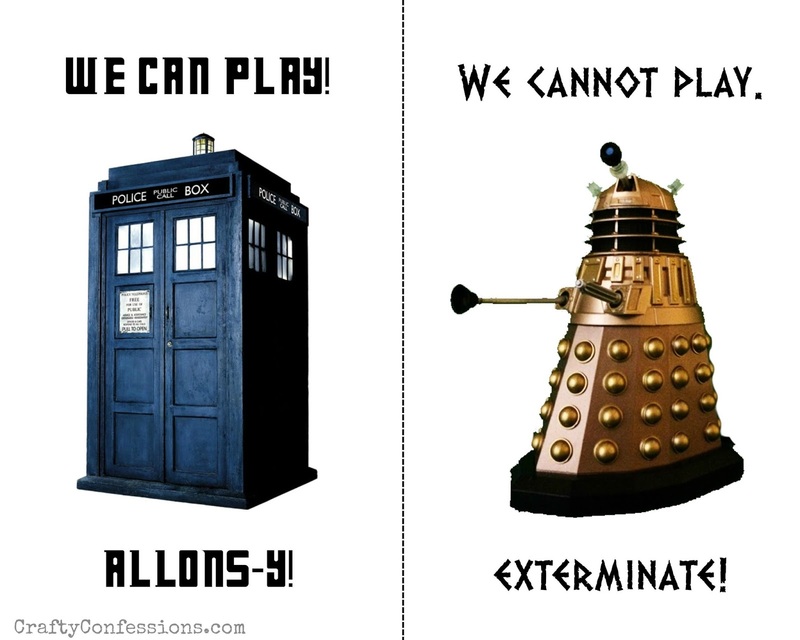 I do not own any part of Doctor Who, BBC, or anything even remotely affiliated. I'm just a rabid fan girl. Thank you. penelusuran atau kata kunci yang diketik ke dalam mesin pencari dan yang mesin pencari lebih disukai oleh pemirsa yang ditargetkan mereka. dan untuk menghilangkan hambatan bagi kegiatan pengindeksan mesin pencari. Salam Sejahtera Gan, Mohon Diizinkan Untuk Blogwalking Gan....Thanks You Gan...!!! Salam Sukses Semoga Artikel Ini Bermanfaat Untuk Kita Semua. Salam Sukses jabat Tangan Buat Pencipta Artikel Ini...!!!! · Receive orders from customers through a full specialist team. · This is done either by direct contact with one of the phone numbers shown or through our website or you can work directly to the branch to record the required data.